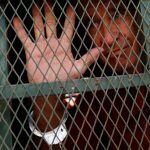 Jailed Australian filmmaker James Ricketson has apologized for disrespectful comments about Cambodia’s long serving Prime Minister Hun Sen ahead of a trial in which he stands accused of espionage and faces 10 years in jail if convicted. 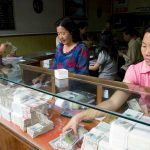 Cambodia is set to become the next frontier market for credit investors, as it prepares to welcome its first corporate bond later this year. 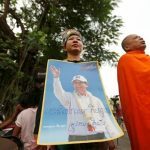 Cambodia’s National Election Committee (NEC) on Wednesday said 50,000 observers, including some from China, Myanmar and Singapore, will monitor a general election next month, which is widely expected to be a landslide victory for Prime Minister Hun Sen after the main opposition party was dissolved last year. 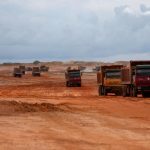 The World Bank will provide $110 million in financing for Cambdoia to improve is main national highway, its board said in a statement on Friday. 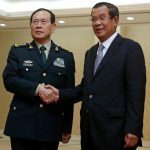 China has granted more than $100 million in military aid to Cambodia, Cambodia said on Tuesday, highlighting the strong ties between Beijing and a government that critics accuse of destroying democracy ahead of an election next month. 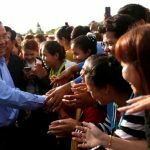 Drenched in sweat and more than an hour into a speech urging 16,000 garment factory workers to vote for the ruling party, Prime Minister Hun Sen of Cambodia revived the restless crowd by announcing that everyone would receive a cash gift. 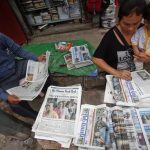 Vaguely worded Cambodian media rules could bring sweeping restrictions that prevent journalists reporting on controversial issues in the run-up to a general election, U.N. rights monitors warned on Friday. The Dara Sakor Seashore Resort seems a long way off the new Silk Road that China is building to connect Asia with Europe. 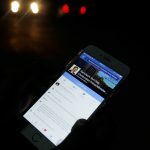 Cambodia will monitor and control online news content intended to cause "instability", an official notice said on Monday, the government's latest move to control information ahead of a general election in July. Nat Sota worries about the spirits of her ancestors. 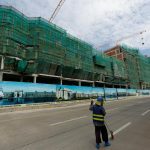 Guo Qirui, 30, says it’s a lonely journey when he goes home to his rented luxury condominium in Phnom Penh, the capital of Cambodia, the country where the Chinese retail executive has lived for nearly half a decade. 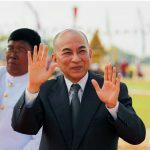 A 50-year-old teacher has been arrested in Cambodia for allegedly insulting the monarchy in a comment posted on Facebook, police said on Sunday, the first such arrest since the country adopted a royal insult law earlier this year. 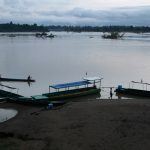 Cambodia on Friday condemned a proposal by a U.S. 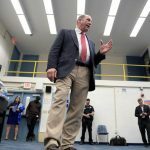 Congressman to impose financial sanctions on long-serving Prime Minister Hun Sen and his officials, saying the bid destroyed the credibility of the United States. A United Nations body has declared arbitrary the detention of Cambodian opposition leader Kem Sokha, demanding his immediate release and the award of compensation, as the southeast Asian nation prepares for a general election on July 29. The purchase of the Phnom Penh Post by a Malaysian whose public relations firm lists Cambodia’s long-serving Prime Minister Hun Sen as a client is a “disaster” for media freedom ahead of a general election, an international rights group said on Monday. 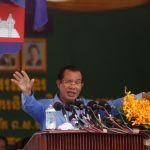 Cambodia’s Supreme Court on Monday rejected a plea for bail by detained opposition leader Kem Sokha, following his arrest last year on charges of seeking to overthrow the government. 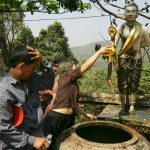 Cambodia's election panel on Friday began a campaign to get voters to turn out for a July 29 general election, despite the concerns of some Western nations and the United Nations that the vote might not be free or fair after a key opposition party ban. Cambodia’s royal oxen predicted a bountiful harvest of rice, the country’s biggest crop, as well as corn and beans at an ancient royal plowing ceremony on Thursday. Cambodia began registering political parties on Monday for a July general election likely to extend the 33-year-old rule of Prime Minister Hun Sen after the Supreme Court dissolved the main opposition party.